Vintage Old Colour Undivided Back Post card, Philippines, Philippine Islands, P.I. 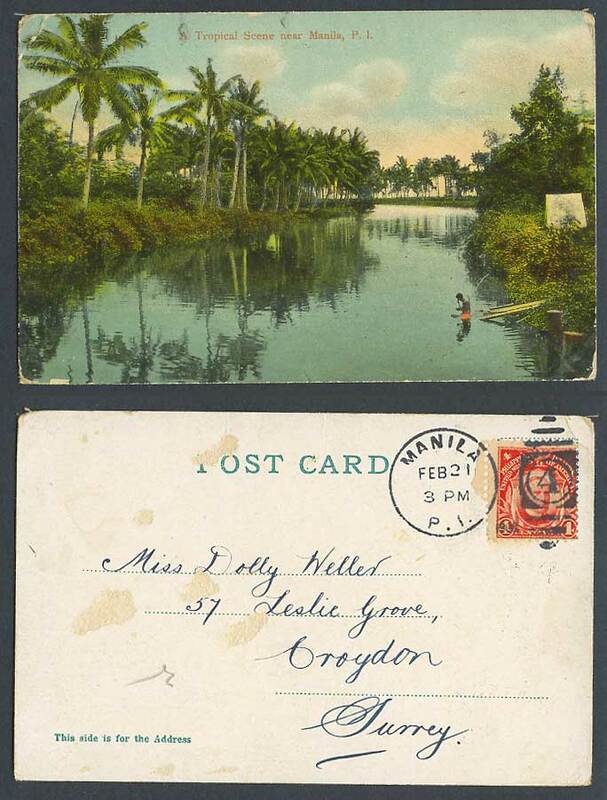 A Tropical Scene near Manila, River Scene, Palm Trees. Man in water.